The IoT Cloud is the core of all our solutions. 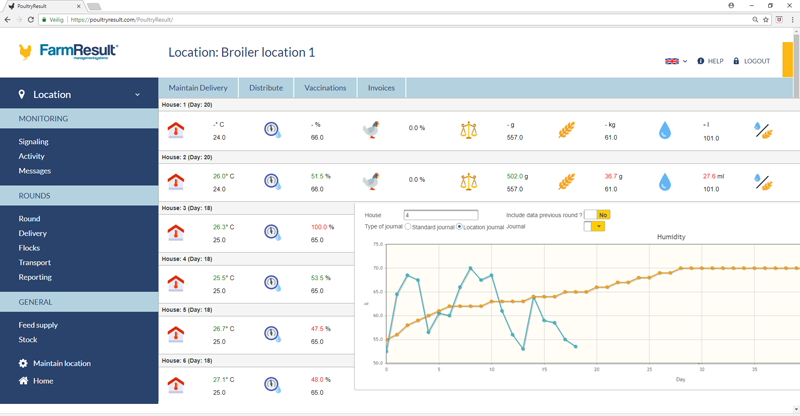 It connects to IoT devices (process equipment) within the houses and organises real-time farm data in a dashboard with a multiple location overview. Our IoT Cloud is the base for optimising processes in any part of the livestock industry. It can be connected to other existing systems (management-, advisory-, optimisation-) to help you create more value with your data. Furthermore, it is designed for all types of users, especially integrations. Even the most advanced levels of optimization and value creation start with mastering the basics. 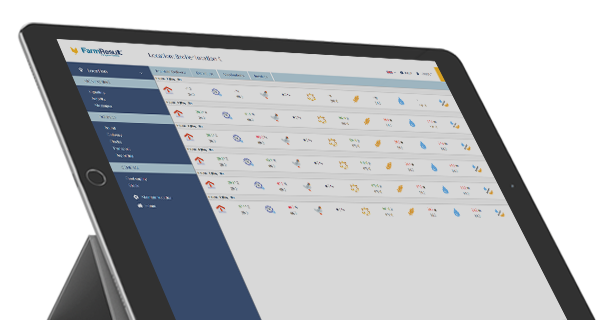 Our distinctive dashboard is completely equipped to provide you with real-time IoT parameters such as; weight, feed, water, temperature, relative humidity, CO2 and NH3. It displays the number of measurements, uniformity, activity and more. All the relevant basics to review how your animals are performing, exactly at that moment and for each moment after that. Our solutions are designed to connect to all relevant equipment within your houses. Below are some of the many equipment suppliers we connect to. Offering your animals the most optimal conditions requires great attention and starts with a concrete planning; setting the right temperature, quantity of feed, but, planning only gets you so far. Even low-probability events occur occasionally and it is these, that have the biggest impact. A ventilator not working can have disastrous results. Our dashboard functions as an early risk mitigator to prevent such risks. Continuous monitoring offers control and compares the planned situation to the actual. Personally adjustable alarms alert the farmer whenever unforeseen events occur. Managing multiple houses is no longer complex. Now you have the opportunity to be present at multiple houses, at the same time, from any location and with real-time insights. The hierarchical data structure presents multiple locations within one dashboard. Select the roles of authority for your users to decide which information they can and cannot view. Cloud access offers you control always and everywhere. Not a farmer, but still dedicated to gain more value with your data? We help each user improve their performance. Farmers, feed producers, integrations, we have got you all covered. Our IoT cloud can connect to either your existing or our in-house advisory-, optimisation, or management system for integration with real-time process data. This makes it easier to meet your specific needs through the combination of continuous insights– with our IoT Cloud, and the benefits of the used system. A representation of inhouse solutions combined with the IoT cloud offers a perspective on the benefits that connecting the IoT Cloud to any other system can provide you with. Discover your possibilities with our IoT Cloud. Increasing control over feed operations, is equal to controlling 70% of the total production costs. Feed optimisation tools help define better feed compositions keeping in mind facets such as: nutrient compositions, raw material costs, current prices and yield. Precision feed nutrition is the key to offering a well-balanced ration for each individual animal resulting in a more responsible and profitable production. Connecting to the IoT Cloud makes this possible high-scale and with real-time insights. Running your business requires you to control multiple inter- disciplinary aspects, that go far beyond just the technical situation within the houses. Most decisions are made decentralized and thus all the data- holding valuable information- is not structured and directly available for the key person in charge. 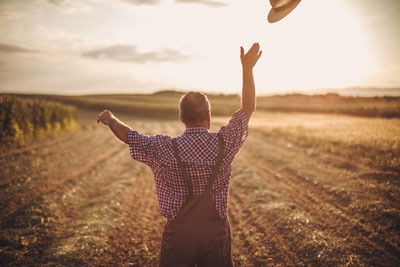 Our management systems specifically designed for the agricultural sector, integrate real-time IoT data and other technical, financial and supply chain data. We help you aggregate all, save time, reduce errors and facilitate quick information exchange so that you are always in control.